With so many machines out there, it's hard to know which one to purchase that is going to be the perfect fit for your style of crafting. For me, most of my stuff is dealing with sewing. There are some definite differences with the Maker that makes it the machine for me, but what about for you? 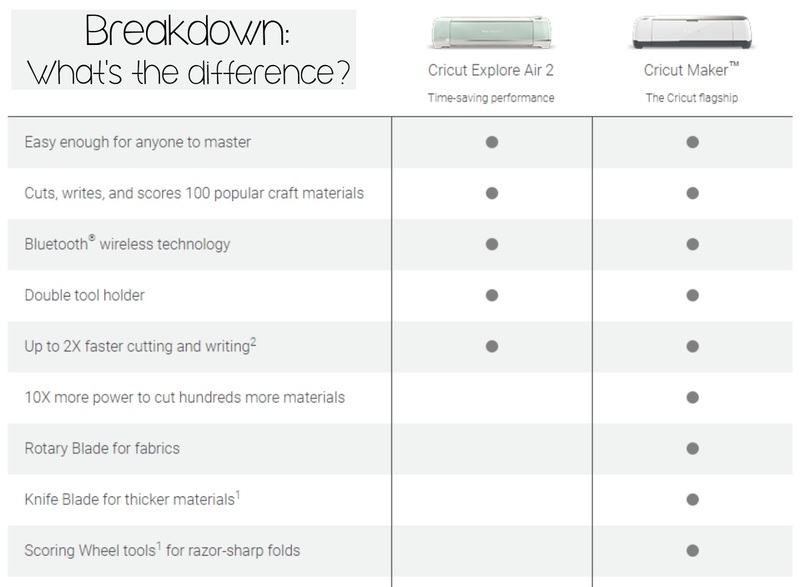 Let's take a good look at the Cricut Maker and the Cricut Explore Air 2 to see which one would be just right for your crafting! First, lets start with the Explore Air 2. This machine cuts and writes 2 times faster than previous Cricut models and can cut over 100 different types of materials. From Cardstock, glitter paper, and cork for any paper project you would want to make, but it can also cut vinyl, iron-on, and bonded fabrics to really personalize your t-shirts and home décor projects too! The Explore Air 2 is compatible with the Scoring Stylus and the Deep-Point Blade and, unlike the Cricut Maker, is still compatible with Cricut Cartridges! I love that not only can you still use Cartridges with it, but it also has Bluetooth Wireless technology and works with Design Space through iOS, Android, Windows, and Mac and you can upload your own personal images and fonts to use with it too. It also now comes in a variety of hues, so you can choose the color to fit your personality and crafting space! The Explore Air 2 is also cheaper than the Cricut Maker, which, I know for me, played a roll in what I get and I'm sure is also a factor to many others! 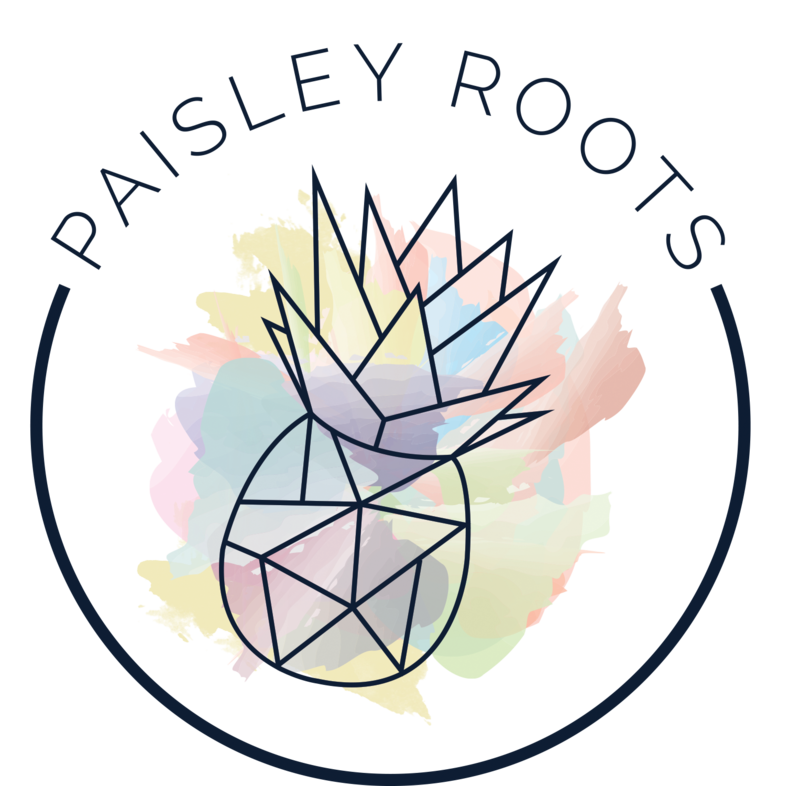 There's just a few features of the Maker that I'd hold onto my pennies and save a bit more to have. So with that, lets get into why I prefer the Cricut Maker over the Explore Air 2! 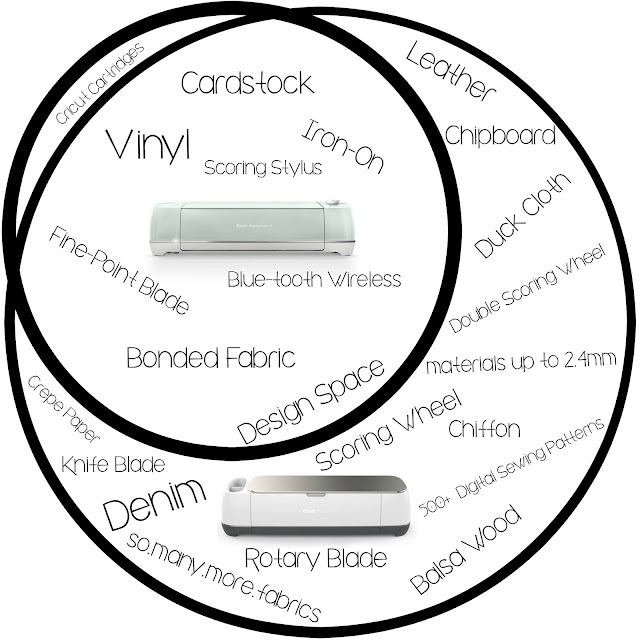 Not only can the Cricut Maker do what the Air Explore 2 can do, it can do so much more! The Maker was made to cut not only cardstock, glitter paper, and bonded fabrics, but is also capable of cutting a variety of fabrics from Chiffon, to Crepe, to Denim, Duck Cloth and also leather! It has 10 times the power so you can also use the Deep Point Blade to cut Chipboard and other thicker and denser materials, which takes your projects to a whole new level. One of my absolutely favorite ways to use the Cricut Maker is by cutting out quilts. For the life of me, I was awful at making sure my triangles and squares were equal in size, and the Maker has completely changed that for me! 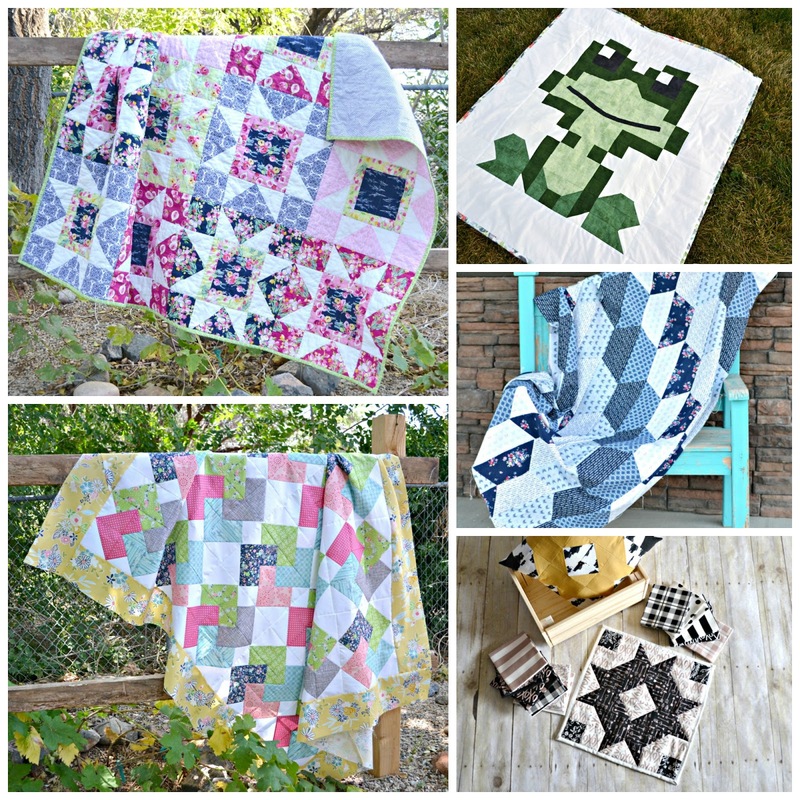 Design space has 500+ digital sewing patterns and quilt blocks by Riley Blake Designs and Simplicity that you can use with the Maker. The Maker is also compatible with the Fine Point Blade, Deep Point Blade, Rotary Blade, Knife Blade, Scoring Wheel, Double Scoring Wheel, Fine Point Pen, Washable Pen, and the Calligraphy Pen. So anything you can dream up, you can do! I use the Cricut Maker every single day that I craft. If it's to make some iron-on for my kids shirts or a new quilt, to making décor, I just love it! 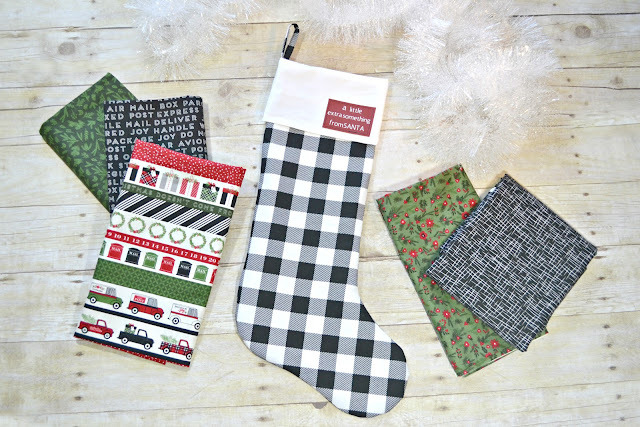 I'm going to take you step by step on how to use the Cricut Maker and Design Space to make this Christmas Stocking with Leather Label that you can customize to make it one of a kind! The Cricut Maker is so easy to use! Which machine do you think is right for you? ?